Six months ago “The Muscle Lab” opened with a simple goal: blend the best of nutrition and exercise science to create a program that packed on pounds of muscle for real people. The projects was called Cracking the Muscle Code and it featured the expertise of two of the top nutritionists and muscle-building scientists in the world. Together, we built a program designed to work. No gimmicky plans. No 4-week promises. No drugs or supplements required. 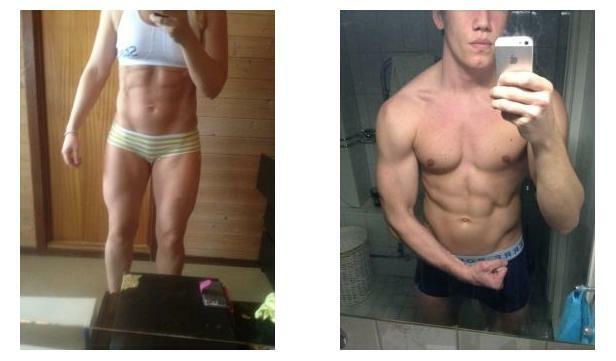 The formula was simple: Calculated nutrition + catered workouts + coaching = results. The lab was opened for 100 people and sold out within 48 hours. Three months later 89 people graduated the program bigger and stronger. Only eleven participants dropped out, as they were unable to keep up with the pace and expectations. Admittedly and unfortunately, three people suffered injuries and were unable to complete the training. But that was just the beginning. Once the clients graduated, I began the process of fine-turning the program and learning from the biggest successes, but also those who didn’t gain as much as other members in the group. This meant analyzing the data for three months. Along with my team, we ran statistical analyses of every variable available. This wasn’t hard science following the rigors of published research, but we used similar protocols and measurements. Within the Muscle Lab, certain variables were held consistent so we could learn what produced the best results, and in particular we focused on meal frequency and rep ranges. But we also talked to the clients and used surveys. We wanted real life feedback about what worked, what didn’t, and what could have been better. We combined science and real world feedback and spliced it together in an attempt to help create a program that would help people gain muscle in a progressive fashion. I don’t want anyone to be misled. 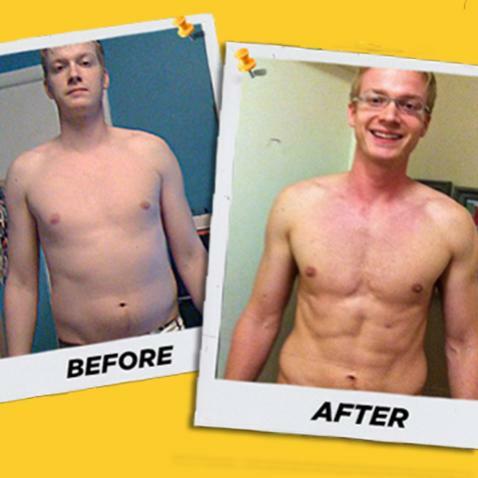 This isn’t a supplement ad promising 10 pounds of muscle in 4 weeks. Maybe…maybe…if you’re a beginner this could happen. But the reality is building muscle takes time. 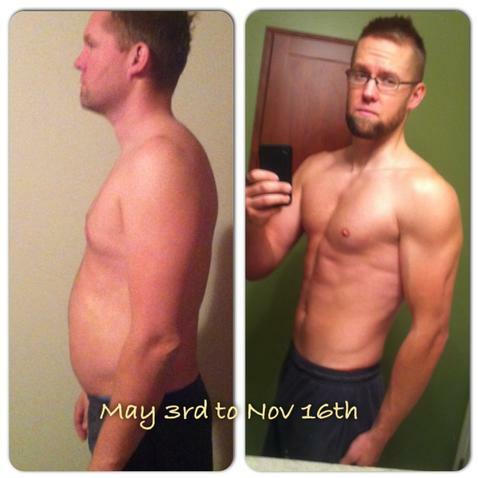 But within our 12 weeks, we had participants gain as much as 15 pounds of lean mass. That’s not body weight. We’re talking actual increases in muscle mass, as determined by body fat percentage. 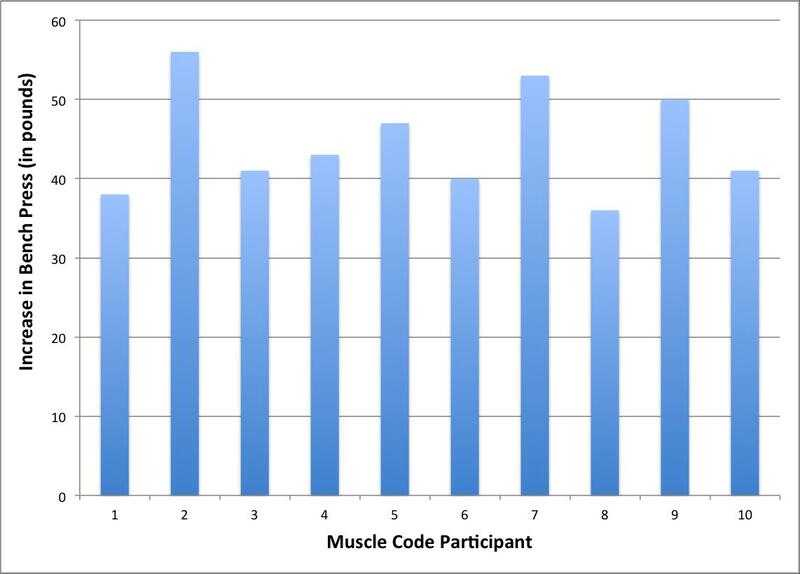 Here’s a breakdown of the strength increases from Cracking the Muscle Code for bench press and squat. Net Change In Squat - Squat went up average of 60 pounds in 12 weeks for reps. I won’t lie: the secret to this program is dedication. I’ll provide the tools, coaching, programs, and guidance you need to succeed, but the commitment must be there for both in time and money. If you do commit, the results are proven. Of the 89 who entered, we have a 97% approval rating from customers. In other words, only two people were disappointed with the process and results. That’s as close to a guarantee as you can receive with any program. I look forward to those of you who choose to take on this challenge and crack their muscle code. I never looked like this at 18 years old let alone now at 44. Also just wanted to day if it wasn't for you I would never ever have dreamed of transforming my body the way I have. I never looked like this at 18 years old let alone now at 44. Quite amazing. Thanks so much for everything. 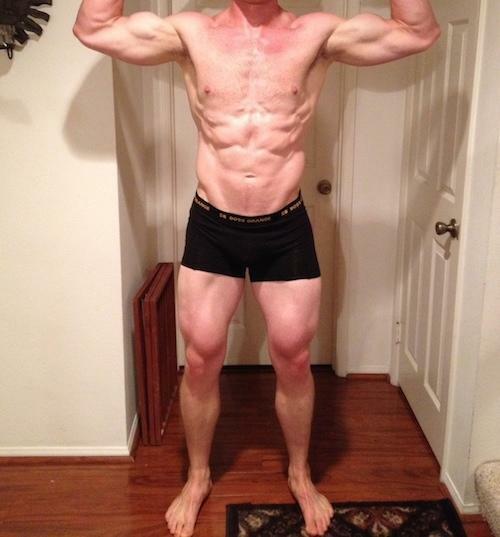 Your training plans and understanding of how to coach has changed my body and my life. When I first received the layout, I was giddy. I didn't know what I was going to get myself into, but I knew it was worth a try. I am stronger and leaner than I EVER was and I started noticing results in the first month. Adam's support and guidance is what kept me going. He pushes you to do things never even conceived before and he keeps you accountable while doing them. Any question I ever had was quickly answered with respect and courtesy. Thanks for everything Adam, the changes are amazing! What can I say the routine is great as always and I am having great progress, bigger biceps, a lil bit bigger lats, my legs feel that I am working them out finally! My shoulders are more define and rounded. Thanks for everything Adam! The changes are amazing! I wouldn't hesitate to recommend Adam to anyone looking for guidance - looking for a coach who really, honestly, puts his clients first. Adam made me feel like a part of the Born Family. Thank you Adam, from the bottom of my heart, for helping me to make the Year of Kristen a success, and to give me the opportunity to show my kids that they can do whatever they set their mind to. 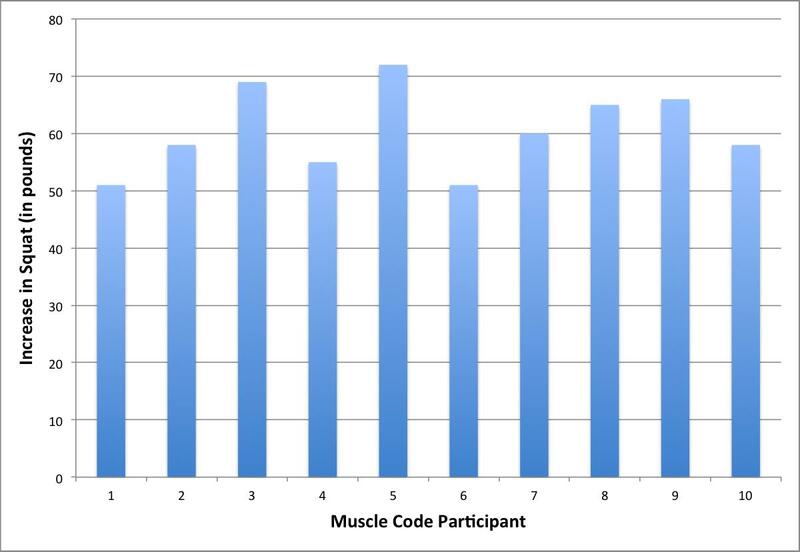 What makes Cracking The Muscle Code different from other strength training programs? Is this program only for people who have a long history of weight training? Absolutely not. Adam has worked with a wide variety of clients ranging from absolute beginners to grizzled training veterans. If you wish to join the Cracking The Muscle Code program, all I ask is total commitment to the program and the discipline to track your results. I am 54 years old, am I too old to join your program? Certainly not, there are a host of studies which show that a well structured weight training program will promote muscle muscle growth regardless of age... if you are new to training or have any existing injuries, the only thing we ask is you inform us prior to starting the program. Is this program for both men and women? Of course. I've worked with both genders extensively. No BS hype. Just results. New York Times best selling author, award winning fitness editor, and named one of the most influential people in fitness. 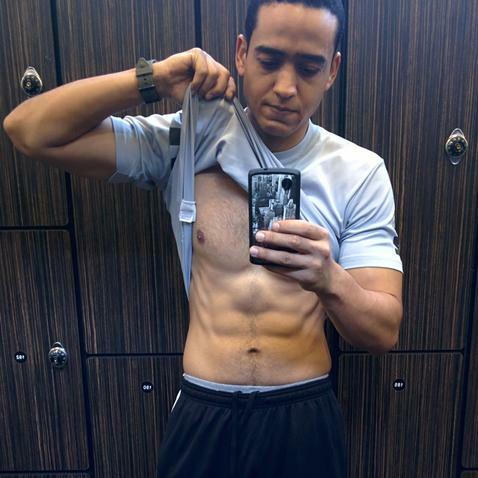 Bornstein is founder of Born Fitness, and consults with Muscle & Fitness, Men's Fitness, and Arnold Schwarzenegger. Hey, Stranger! Have questions for me about Cracking The Muscle Code? Thanks so much for joining Cracking The Muscle Code by Adam Bornstein. We've just sent you a receipt for this purchase via email. Next step? Invite friends to join you and introduce yourself to your new coach and teammates! Cracking The Muscle Code is currently sold out! If you’d like us to remind you when Adam Bornstein runs his next Team, hit the big blue button below. We will send you a confirmation at the email listed. We have the following details on file for you. If that all looks good, click the big blue button and we’ll add you to Cracking The Muscle Code Team right away! Or, you can sign in as a different user. You are just a few details away from joining Cracking The Muscle Code . If that all looks good, click the big blue button and we’ll add you to Cracking The Muscle Code Team right away! Or, you can sign in as a different user.
. If that all looks good, click the big blue button and we’ll add you to Cracking The Muscle Code Team right away! Or, you can sign in as a different user.